When news broke on Monday this week that Grab was merging with Uber in Southeast Asia, one story you probably didn’t read was how a regional ride-hailing firm had beaten off a global giant. That narrative would fit neatly into Singapore’s latest push to have homegrown startups gain a global footing and scale up to take on the world. Grab, after all, was born in Malaysia and now firmly anchored in Singapore. Since its humble beginnings in 2012, it has expanded to eight countries in the region and will now absorb Uber’s customer base as well. Unfortunately, the story didn’t pan out that way this week. Soon after news of the merger, there were videos claiming to show Uber staff being asked to pack up and leave within a couple of hours. Grab has denied this. Then, as we also predicted, worries of a consolidated market where competition shrank overnight began to take hold. Drivers and consumers were both asking how they would be affected. Now, the authorities in Singapore and Malaysia are looking into whether the merger has made their markets less competitive. Singapore’s competition commission, which was not notified beforehand, has said the merger may have infringed the country’s Competition Act. What went wrong here? How were the authorities taken by surprise when talk of the rivals’ marriage had been widely reported in the media for weeks? If they were caught unawares, then a research firm, Blackbox Research, certainly was not. It carried out a survey in the two weeks leading up to the merger and found that most Singapore consumers were not in favour of it. Under pressure, Grab has come out to challenge the popular assertions. 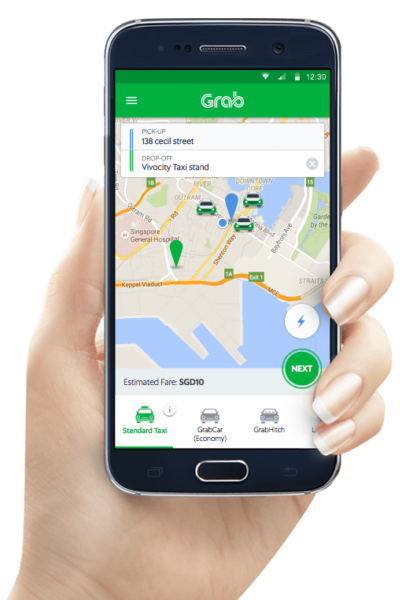 Writing on the company’s blog, Lim Kell Jay, head of Grab Singapore, promised not to change its fare structure. He also pointed to the emergence of a couple of ride-hailing players that have come up to gain a foothold in the market. Competition exists, he argued. What he couldn’t say is that the whole business model of the sharing economy, of which Grab, Uber and platform companies like Airbnb are a part, is to gain a monopolistic position. That is the main reason why investors have poured billions of dollars in such companies around the world – to edge out the competition in a battle of attrition. Nowhere was this clearer than in China, where Uber also lost out to a local rival – Didi Chuxing – in 2016. The American company was burning more than US$1 billion a year of investors’ cash to gain an upper hand. When it left the market, it did so in exchange for a US$20 billion stake in its Chinese rival. In Southeast Asia, Uber is leaving again, but with a 27.5 per cent stake in Grab. Not ideal but not too bad for the American company. In China, as in Singapore now, consumers have been unhappy with the smaller number of players. The authorities there have also told ride-hailing operators to offer a reasonable fare to users. Beyond that, what can regulators do? It is too late to undo the platform economy now. It has been so integrated into so many things that people do, fulfilling each gratification instantly with a simple tap on the phone. From ordering food to hailing a cab, platform companies have shown they are the most efficient at doing what they do. It’s true they also allow more people to get into “gigs” and part-time work to earn extra income. And if we are honest, the situation in Singapore before Grab or Uber was probably much worse. Long waits for a taxi are not too distant a memory from just a few years ago. As is a trudge in the hot sun to the nearest coffee shop to dabao your own food. The only problem is that an illusion has been shattered. People are finally wising up to the fact that a sharing economy in which you owned nothing, but gained access to everything, is a utopian fantasy. All this while, someone has been paying for all those discount coupons and free deliveries and now these investors in the platform companies want their money back. You can hardly blame them. Still, just like the Facebook data breach this month, users had higher expectations – perhaps unrealistic ones – of technology solving many of today’s problems. Ride-sharing was supposed to be an answer to many urban transport problems and promote a car-lite society. Never mind that Uber had caused COE (certificate of entitlement) prices to go up in Singapore, as it bought its fleet of cars and bid up prices in recent years. These companies came with a promise. So, when the veil is lifted and they appear to be no more than another profit-minded enterprise, the surprise is greater, the disappointment deeper. For many, this is one bitter pill. Have any consumer compare the fares before n after the merger? I found that fares has gone up, consumers is at the loosing end.